An intense competition is underway in the region and it is not the kind of news that’s grabbing the share of voice as much as we would have liked. This piece takes a closer look at the art of keeping air passengers suitably impressed so they are swayed to use a hub over and over again. Think Doha, Dubai, Abu Dhabi and Istanbul as the main players in this game of supremacy. When was the last time you wished you could spend more time at an airport terminal? No one really wishes to set up shop and make the terminal home unless you are Tom Hanks in that epic movie The Terminal. But to be fair, Hanks was left with no option. Today’s high-fliers have the need to be on the move at all times. So do vacation seekers, but there’s no harm in making the downtime at the terminal a moving experience through a slew a smart, intelligent and pampering experiences. It has been widely circulated that Istanbul has made an impressive start to the year by raking in more transit passengers compared to the leading Gulf airports – namely Dubai, Doha and Abu Dhabi. Be assured that this is the not the final chapter of the competition, for in the months to come there will be moves from the Gulf to wrest the initiative, woo back passengers. Air traffic and booking analyst ForwardKeys’ data for the first quarter of 2018 shows that flight bookings for passengers changing planes in Istanbul are currently 21 per cent ahead of where they were at this time last year. 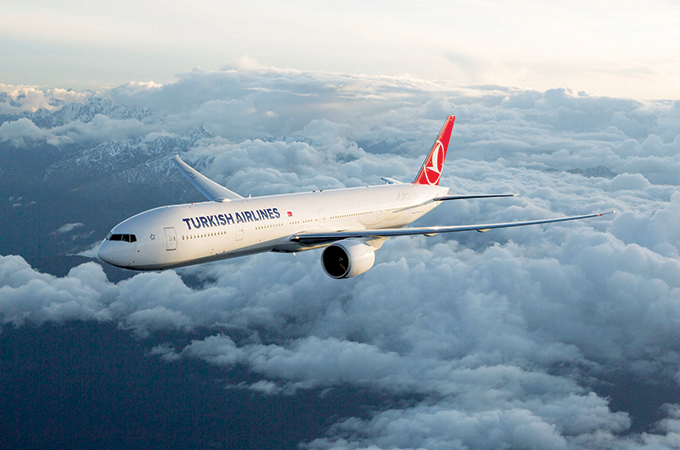 Istanbul’s tailwind has been the success of specific routes including New York and Los Angeles to Tel Aviv, San Francisco to Delhi, London to Antalya, Hamburg to Antalya and Frankfurt to Tehran. UK nationals have had a significant impact with bookings 30 per cent compared to the same time in 2017, long-haul flights have seen bookings from the US 52 per cent ahead. Flight bookings from Germany is 35 per cent ahead, India 17 per cent and Russia 70 per cent up, all contributing to Istanbul taking pole position at the start of the year. It will be interesting to see how the performance picks up for the Middle Eastern hubs specially in the light of the football World Cup in Russia where all major airlines operating out of the Gulf have major packages to fly in passengers from Far East and the Sub-Continent. Down the line, there is Expo 2020 in Dubai, expected to bring in more than 25 million visitors from around the world and then the 2022 World Cup in Doha. Qatar Airways' chief executive Akbar Al Baker told The Associated Press that the carrier will post a loss this year as the ban on Qatar's flagship airline flying to neighbouring Saudi Arabia, United Arab Emirates, Bahrain and Egypt since June 2017 has forced it to fly longer routes through Turkey and Iran, and has hit the company's bottom line, but not its expansion plans. Last year, Dubai International (DXB) retained its position as the top airport in the world for international passengers for the fourth consecutive year with annual traffic reaching 88.2 million passengers, according to figures released by the airport. Back in 2014, DXB flew past London Heathrow as the busiest airport in the world for international traffic. Now, consider this against the development in Istanbul and tell me if this isn’t the best time for passengers to fly, as each terminal is upping its game to provide even better travel experiences. Istanbul’s new airport is on its way to be opened officially in October this year. The new development means the airport will be able to service 90 million passengers in its first phase and become the world’s busiest by operating six runways with a capacity for 200 million passengers. Meanwhile in the lead up to Abu Dhabi Air Expo it was revealed that Abu Dhabi’s Al Bateen Executive Airport is all set to see upward movement in aircrafts – dedicated exclusively for business jets, the terminal handled 12,000 aircraft movements in 2017. Dubai’s Dubai World Central airport (DWC) has seen surge in passenger numbers due to change in UAE visa regulation that offers Russian visiting visa on arrival. The airport has seen 6 per cent rise in passenger traffic with a count of 904,940 in 2017 according to reports by operator Dubai Airports.